December 21, 2009 - Wishing all former Key shipmates a very Merry Christmas and a Happy and Healthy New Year. December 4, 2009 - We just received the sad news of the death of the daughter of Jack & Joyce Harden in Greenville, SC on Thanksgiving Day. Jack was a radioman on the gold crew of the Key from 77 - 80. Rick Wise, COB of Charleston Base USSVI, sent us this e-mail exchange he had with Jack. Our deepest sympathies go out to Jack and Joyce. Joyce and I had everything but a good Thanksgiving. We went to Charlotte NC on Wednesday to spend the holiday with my nephew, his family and my sister. Learned that night that my oldest daughter Carroll went to the hospital in Greenville SC with some problems. Without going into great detail, we got a call Thursday morning to get to Greenville if we wanted to see her again. Started out to Greenville about 10:00 AM and when about halfway there we got a call that Carroll had passed away. The cause was a blood infection, pneumonia and eventually a heart attack. December 3, 2009 - We hope to have some reunion 2010 news soon so check in every so often. November 4, 2009 - I just received info on the passing of John William Carroll. John has been added to the crew list and to Eternal Patrol. If you served with John and would like to add comments to his memorial area, please send them along to me at ssbn657@comcast.net. October 8, 2009 - Just received this e-mail from Al Singleman regarding shipmate Tom Conlon. Tom is the past president of USSVI. 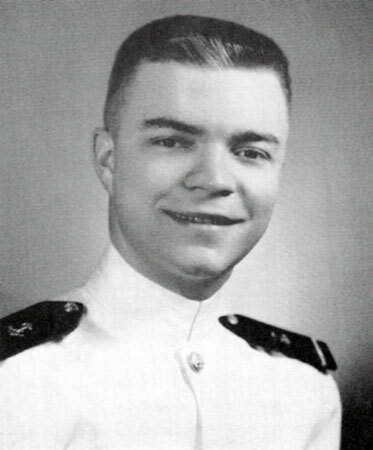 "Shipmates: I got a call Oct. 5th, from Tom Conlon from his hospital bed. Tom had a bad infection in his right foot and had to have all the toes on his right foot removed as well as part of the right foot. He is doing fine under the present circumstances. He is in the Hackensack University Medical Center, 20 Prospect Ave., Hackensack, NJ 07601 Room 3002. Phone number is 201-270-3184. Diane and I went down to see him yesterday. He is scheduled for more surgery, possibly on Fri., to close the incision. He may go home on Mon., Oct. 12th. October 7, 2009 - I was notified today of the passing of Bruce Garrett - A-Gang Gold Crew in the 80s. Bruce died on Monday, October 5, 2009 of liver failure. You can read his obituary in Eternal Patrol. Our deepest sympathies go out to his family, especially his wife Judy. Rest in peace shipmate. September 2, 2009 - I have finished adding nearly 400 pictures sent in by Jim Shirley - Gold Crew 84 - 87. They are in Photos 1980s and Halfway Night. I also added some photos taken at the funeral ceremony of Orlando Suarez at Arlington National Cemetery in 2004. They can be seen in Eternal Patrol. August 2009 - New Key shipmates added in August 2009. Sutherland, James 77 - 81. Check crew list for details. August 19, 2009 - I've added over 200 pictures to the Photos 1980's web page taken by Jim Shirley, gold crew 84 - 87. So any of you guys from that era or anyone else wanting to see some nice pictures, take a look. More pictures to come soon. August 17, 2009 - Shipmate Jim Shirley Gold 84 - 87 was the Key's photog. He just sent me over 400 pictures of his time on the Key including dolphin ceremonies, change of command, Swim calls and much more. It is going to take me a while to get them all online in the 1980s area. I'll announce it here when they are loaded on the site. August 10, 2009 - New Reunion 2010 update: REUNION INFO. July 2009 - New Key shipmates added in July 2009. McKiney, George P 68 - 71; Dempsey, Mark A 84 - 87; Campbell, Tim 89 - 92; Pappas, Steven 86 - 90; Scott, Bruce 89 - 92; Morales, Richard 88 - 92; Crego, William 77 - 80; Lilly, Keith 89 - 93; Crawford, Craig 73 - 75; Lemay, Scott 88 - 90. Check crew list for details. July 30, 2009 - I was searching the internet and came across an obituary for Gary Montgomery. He served on the Key and several other subs. He passed away in 2005. You can read about him in Eternal Patrol. Anyone who served with Gary is welcome to send in comments. July 10, 2009 - Shipmate Gary Walters has e-mailed everyone with details of the 2010 reunion in Milwaukee, WI. If you did not receive the e-mail, click on the Reunion 2010 link on the left for more details. UPDATE: Reunion in Milwaukee has been canceled. June 2009 - New Key shipmates added in June 2009. Brzezinski, Scott 74 - 78; DeRyke, Mark 82 - 86; Halscheid, Ronald 71 - 72. Check Crew List for details. May 2009 - New Key shipmates added in May 2009 - Hill, Thomas 80 - 82; Cortell, James 75 - 78; Hunt, Brian 81 - 82; Phipps, Mitchell 81 - 82; Hall, David 71 - 74; Russell, Norman 89 - 93; Edmondson, Harry 88 - 90. Check Crew List for details. May 27, 2009 - I have added some more videos of the Key taken in 1987 and 1988. Check them out by clicking on Videos link. May 16, 2009 - Completed first attempt at digitizing the Key Video tape. It did not come out very good. I put a six minute sample of the Key leaving St Mary's in 1988 on the web site as a test. The VHS tape I was given has half the sound as music and the other half as the actual sounds. I will re-digitize the tape, this time with less compression which should improve the quality. I'm on the slippery end of the learning curve here so bear with me. May 8, 2009 - I just received a 90 minute video tape of the Key blue patrols made in Aug 1987 and May of 1988 from shipmate Jeff Burke. Included are refit, halfway night, emergency blow drill, cookout and swim call video. I have just purchased the equipment I need to convert the tape to digital format so I can load it onto the web site. It will not be delivered to me for about a week so keep an eye out for some new Key videos soon. April 2009 - New Key shipmates added in April 2009 - Hazen, John 80 - 83; Kerry, Kenneth 80 - 82, Dawson, Ron Plank Owner 65 - 68; Harris, RJ 90 - 93; Bahn, Jonathan 90 - 93; Flinn, John 68 - 70. Check Crew List for details. April 21, 2009 - Our picture of the week last week showed the TDU (Trash Disposal Unit) or GDU (Garbage Disposal Unit). Shipmates from the 60's and early 70's say it was always known as the GDU. I was onboard from 70 - 75 and remember it mostly called TDU but do remember some calling it the GDU. Does anyone know when and why the name was changed? My guess is it was changed at Overhaul #1 in 1972. Does anyone still have a Key Tab booklet from before 1972 that they can look it up and let us know. April 7, 2009 - The site of the 2010 Key reunion has been selected as Milwaukee, WI on May 19 - May 22, 2010. Click on Reunion Info for all the details. 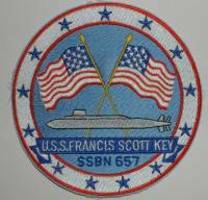 April 7, 2009 - I received a very fine history of the Key's early days from pre-com to patrol #2 from George Singer, first Supply Officer on the Key. I put his story in a new area I've called Early Days under the History area to the left. Click on it to read some fascinating stories of the Key's early trials and tribulations. George also notified us of the passing of plank owner Ron Dawson, Blue Crew MT3 in 2005. I added Ron to the Crew List and to the Eternal Patrol area. I invite anyone who served with Ron to send along any comments for his memorial area. March 2009 - New Key shipmates added in March 2009. Nieto, Rob 86 - 89; Kelley, Charles D. Plank Owner 65 - 70; FormyDuval, Jack 75 - 78 & 85 - 87; Clemons Bobby 73 - 76; Garcia, Pedro 77 - 80; Mandigo, Alan 76 - 78; Hoel, Jack Ira 1970, Sheffield, William 78 - 79 . Check Crew List for details. 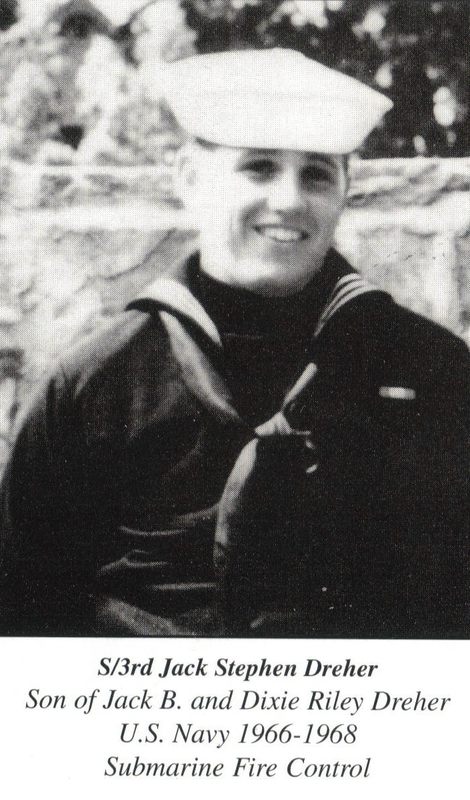 March 23, 2009 - I received news today of the passing a long time ago of shipmate Jack Ira Hoel. Jack was the XO of the Key in 1970 and went on to become the CO of the Calhoun SSBN 630. Jack was killed in a plane crash in 1974. Our thanks to Greg Weber for sending in this info. February 2009 - New Key shipmates added in February 2009. Smith, Jerry 84 - 88; Neff, Michael 79 - 82, Dreher, Jack 67 - 68; Peck, Alexander 70 - 71; Orlowe, Eric 88 - 91; Hines, Darren 88 - 91; McAdams, Van Plank Owner 66 - 67. Check Crew List for details. Hello, my name is Steven Lyon. My Grandmother was Marjory Key Thorne, one of the christeners of the Francis Scott Key and I want to thank you for your keeping up this website. I served 8 years active duty in the USCG as a electricians mate. Thank you once again for maintaining one of my grandmothers proudest accomplishments. February 17, 2009 - Today we received notice of the passing of Jack Dreher, Fire Control Tech in the late 60s. I have added Jack to the Eternal Patrol list. 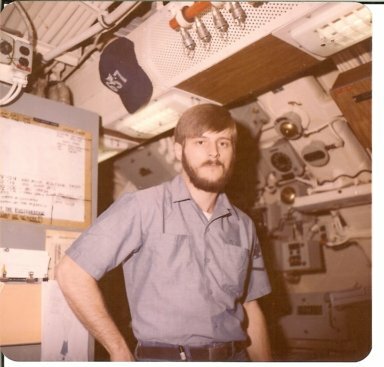 If you served with Jack and would like to add any comments to his memorial area, please send e-mails to ssbn657@comcast.net. Our sincere regrets go to Jack's family, and to Jack we can only say - Sailor, rest your oar - job well done. February 5, 2009 - The Reunion Committee has received a detailed proposal from Gary Walters for hosting the 2010 Key Reunion in Milwaukee, WI. To see the proposal and to comment on it just click REUNION INFO. February 3, 2009 - I created a new area simply called PORTS. It lists the various ports of call and home ports that the Key visited over its career. It will contain pictures and sea stories about each location so take a look. I've begun with the Panama Canal. It is still a work in progress but it will show you what I am trying to do. Let me know if I missed any locations and also send in any pictures or stories you have. anuary 2009 - New Key shipmates added in January 2009. McLauchlan, Michael 85 - 89 (Active duty now COB on the SSBN 738) ; Medhurst, Robert 69 - 70; Tolliver, Michael 91 - 92; Shiver, James 79 - 83; Mitchell, William 68 - 70; Phillips, Jon "Buddy" 81 - 84; Drahos, John 67 - 70; Gimbolo, Grew 80 - 82; Davis, William 81- 87 and 88 - 90. Check Crew List for details. January 23, 2009 - Our Kudos go out to Steve Finney, NavET 77 - 85 Blue Crew on his recent retirement from the navy as an LDO CDR after 33 years of service. Thanks for your years of service and welcome back home to the Key. January 13, 2009 - I was hoping to make it much further into 2009 before I had to do this. Dan McRae, NavET 1976 - 1979, Blue Crew passed away in a Dallas, TX hospital this past Sunday evening. Check out Eternal Patrol for Dan' obituary. I wish to send our heart-felt condolences to his family and friends from the entire crew of the Key. Sailor - rest your oar. Job well done.